Very often it is useful to know the equivalent circuit of a certain component. 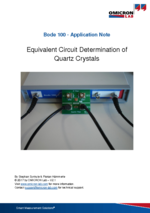 This application note demonstrates a simple way to get the equivalent circuit of a quartz crystal using the Bode 100. 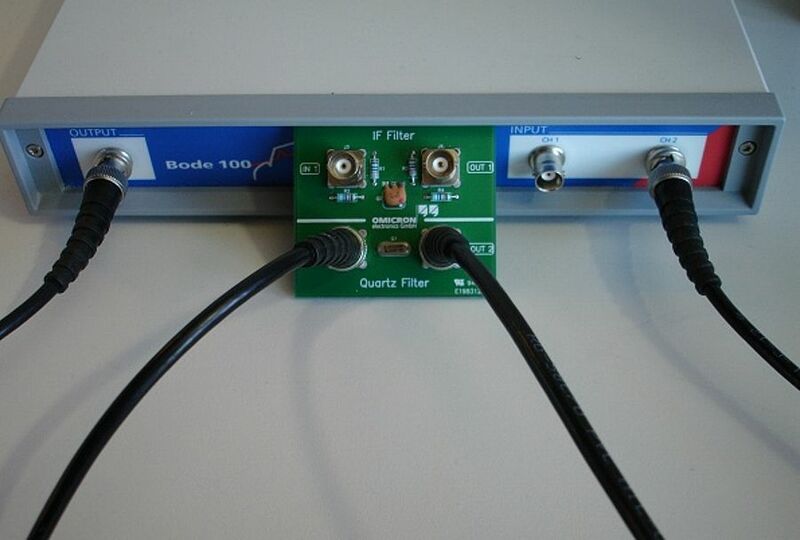 A quartz crystal can be modelled using an equivalent circuit as shown on the right hand side. This model is valid in the frequency region of a single series - parallel resonance combination. These series – parallel resonance combination occurs at odd multiples of the fundamental series resonance frequency.